Mark your calendar for a visit to Beavers Bend State Park on January 1 for a free guided hike. 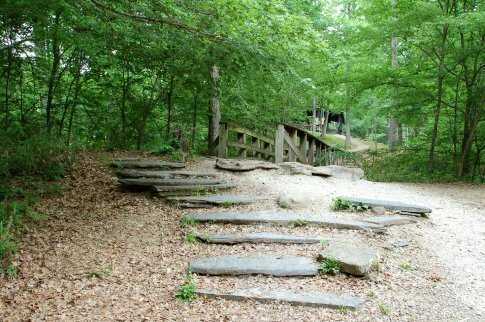 Meet at the Forest Heritage Center at 11am for an easy to moderate, one-mile hike on the Heritage Tree Trail. The hike will end at the campfire ring behind the old Nature Center where hikers can enjoy complimentary roasted hot dogs and hot chocolate. Be sure to bring your binoculars, a camera, water and appropriate dress for cool-weather hiking. Leashed pets are allowed on this hike. The event is in conjunction with the America's State Parks First Day Hikes initiative that will take place in all 50 states. First Day Hikes offer individuals and families the opportunity to begin the year by connecting with the outdoors and staying active.